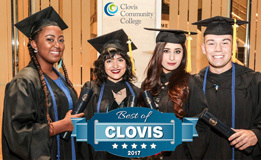 The FYE Program was designed especially for YOU- the first time college student- to assist in your transition from high school to campus life at Clovis Community College. Starting college can be both stressful and exciting, but as part of the Clovis CRUSH family, you have support. The FYE program will assist and support you during your first semester and beyond. Students will enroll in INTDS 50 (College Success), which is a three unit class. The class is taught by a CCC faculty member with additional support from counselors and student success coaches. The FYE Program is available to all students in their first year of college. The best time to take the class is in the student's first semester to ensure a more successful transition to college academics and activities. 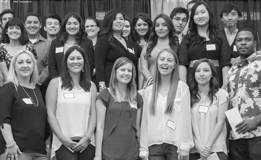 The INTDS 50 class counts in Area E for CSU general education. This means three (3) transferable units! INTDS 50 also counts as elective credit to the UC system. Dedicated faculty working together to provide a supportive and encouraging environment. A counselor and student success coaches dedicated to FYE students. The skills you learn in the FYE Program will help with your overall success in college and life. As an FYE student, you will receive specialized services and programs not available to the general student population, including presentations from financial aid, library services, and guest speakers. 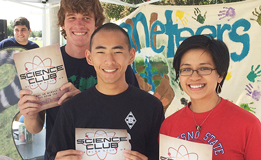 Become a part of the community with service learning/volunteer opportunities both on and off campus. Research shows that students enrolled in an FYE program are more successful. According to the U.S. Department of Education, "First year experience courses were found to have potentially positive effects on credit accumulation, degree attainment (college), and general academic achievement (college) for freshman college students." Consult WebAdvisor and/or the Clovis Community College Schedule of Classes for the list of available classes. 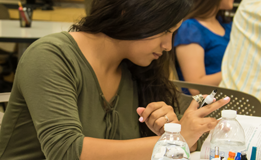 INTDS 50 (College Success) is designed for first-year college students and provides an exploration of cognitive, psychological, social, and physical factors influencing success in college, the world of work, and in life. Topics include personal responsibility, critical thinking, motivation, self-efficacy, self-awareness, lifelong learning, self-management, health and wellness, interpersonal communication in a diverse world, educational planning, and service learning.